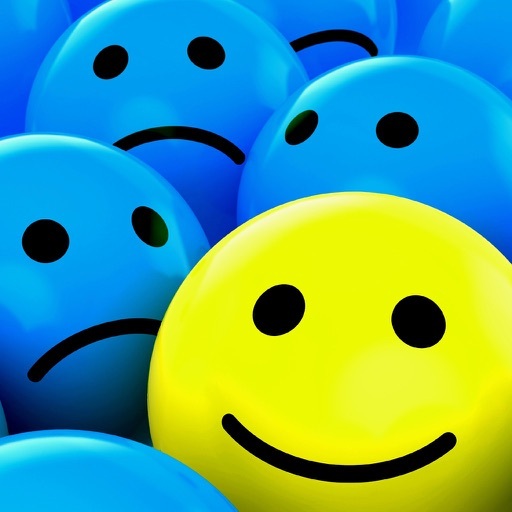 Looking for an easy way to make positive changes in your life? 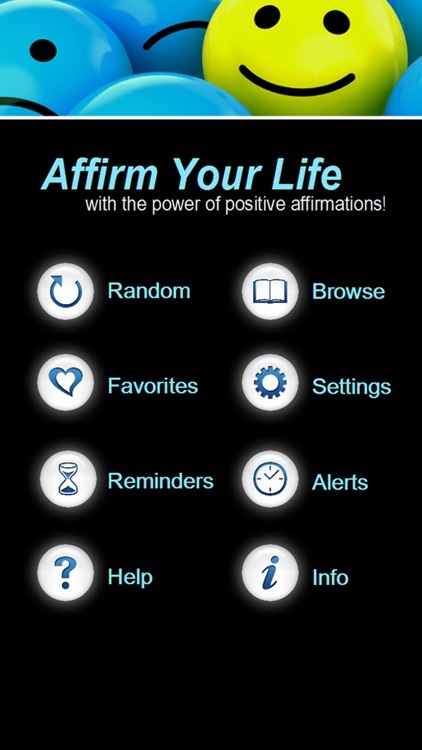 Then look no further, because the Affirm Your Life App has the perfect solution! Not only is this app loaded with over 2350 unique, full-color affirmation and inspiration pages, it also has built-in features that will make improving your life a snap! Just browse through the affirmations, select your favorites, and then set them as repeating reminders. Or save specific pages as time-based alerts. 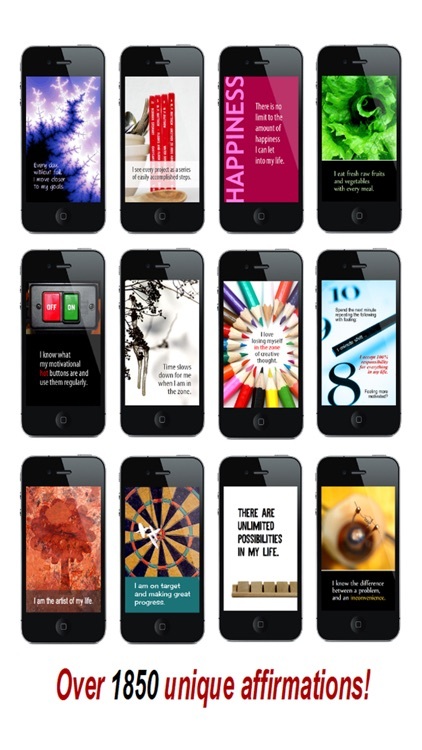 With the Affirm Your Life App you will never forget to affirm what's most important to you. Check out all the tips and tricks that will help you make your affirmations even more powerful! Choose your favorite quotes and let them inspire and motivate you throughout the day. Play your favorites as a slideshow, and get the benefits of your affirmations even while you're hard at work! 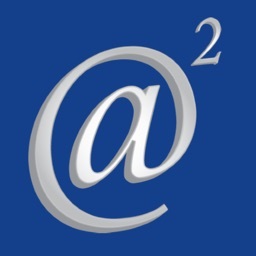 Check out all the other great features our app has to offer. We're sure you'll agree that there has never been an easier, more empowering way to create the life of your dreams! 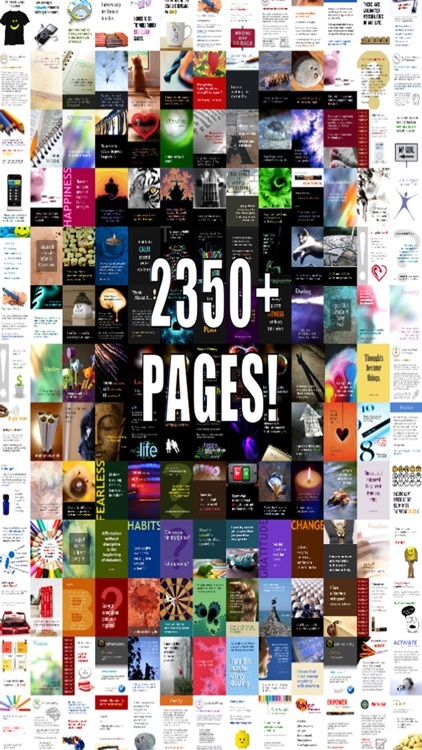 A huge selection of over 2350 unique, full-color affirmation and inspiration pages. 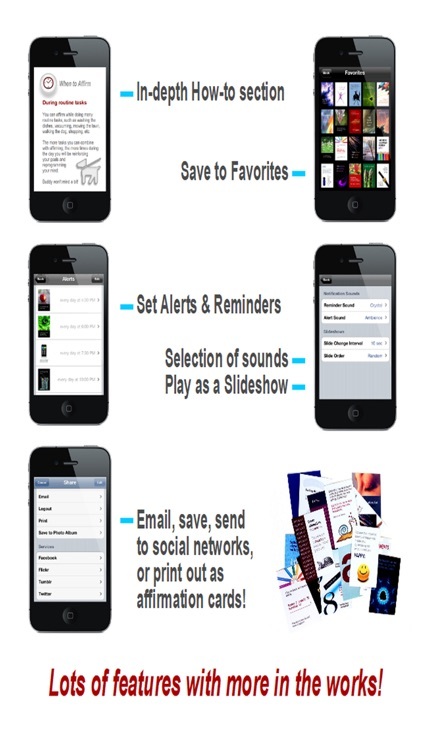 Full-featured app supporting Favorites, Slideshow, Alerts, Reminders, and Sharing. 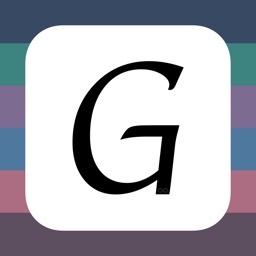 All affirmations live on your device, no internet connection required. Over 1950 inspiring affirmations, written by an affirmation expert. Huge selection of affirmation subjects to choose from. Comprehensive 'how-to' section provides detailed information on writing and using affirmations. 100's of little-known TIPS and TRICKS to help make your affirmations even more powerful. 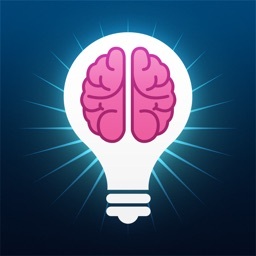 100's of empowering questions and thought-provoking facts to help keep you on track. Full of inspiring quotations to keep you motivated towards your goals! 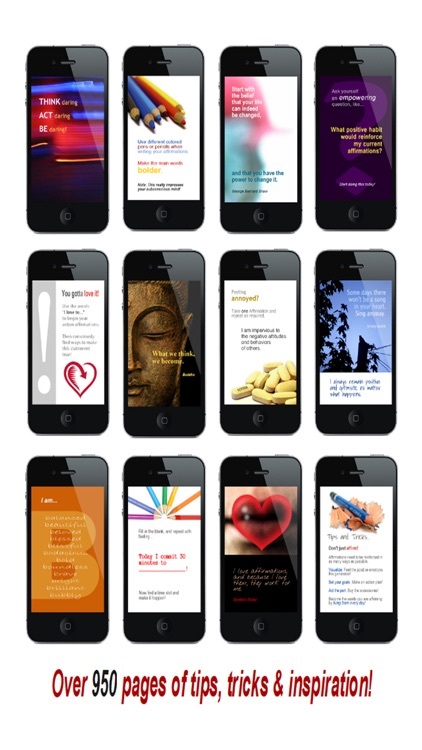 If you're looking for inspiration, the Affirm Your Life App has it in spades. Lots of BONUS pages on related subjects, including: visualizing, using the law of attraction, setting goals, combating negative self-talk, and increasing motivation. Easy navigation makes it simple to find the affirmations you're after. 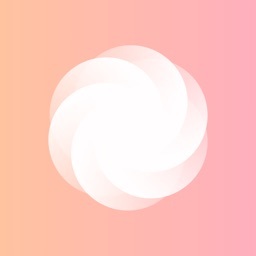 REMINDERS function provides you with affirmations at a regular frequency throughout the day. ALERTS function allows you to set any pages for a specific time of day - a great way to have your affirmation goals appear when needed. Many alert and reminder sounds to choose from. SHARE pages with friends via email, Twitter, Facebook, Flickr, Tumblr, and more. 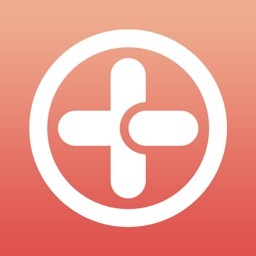 SAVE pages to your Photo Library for use as wallpapers or to send by SMS. PRINT pages for use as affirmation cards - a great way to create visual reminders around your home or workplace, to decorate your vision board or vision journal. SLIDESHOW function allows you to progress through content in order or randomly, creating motivating, hands-free affirmation sessions. More content and features on the way! Do you feel like your life is running on autopilot? Do you have dreams, aspirations, and goals that seem impossible to attain? Is day-to-day living putting a damper on your motivation? Download the Affirm Your Life App today and take control of your future. There has never been an easier way to empower your life!